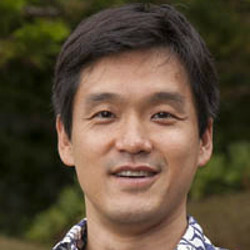 Dr. Lei Wang joined HPU in September 2012, and he is currently establishing his research group. Research projects are available for enthusiastic students who want to accumulate research experience in biochemistry, molecular biology, biomedicine and bio-nanotechnology fields. Interested students are welcome to contact Dr. Wang. Dr. Wang’s major research interest is protein aggregation, which is involved in more than a dozen of human diseases, such as Alzheimer’s disease, Parkinson’s disease and Cataract. His research group studies several disease-related protein aggregation events, tries to understand their underlying molecular mechanism, and aims to identify effective natural compounds that can interfere with protein aggregation processes to prevent or delay disease onset. For example, his group is interested in studying the protein aggregation mechanism in (a) human memory loss, (b) cataract and human lens clarity, (c) obesity and regulation of food intake. Dr. Wang is also interested in developing bio-nano material by using a special type of protein aggregates, amyloid fibrils, which are genetically modifiable natural bio-nanowires.